A listing photo for 344 Main St.
Construction has been nearly completed on the four-story building at 344 Main St. in Beacon that prompted much criticism and concern among residents over the last 18 months. Although the building must resolve a conflict over parking before it receives its certificate of occupancy from the city, 24 apartments are being advertised online, with 850-square-foot, one-bedroom units available for $1,900 per month. Approved by the Planning Board in December, the four-story project at 226 Main St. received variances from the Zoning Board of Appeals allowing a 10-foot (rather than 25) rear-yard setback and waiving its on-street parking requirement. 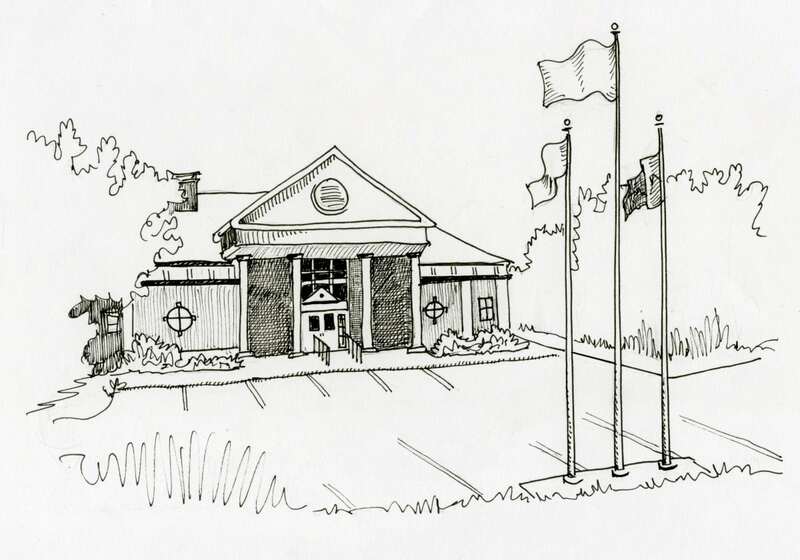 Parking will be located at the rear of the Dutchess County-owned lot across the street, which is being widened to create 18 additional spaces, and in a nearby municipal lot, which is being re-striped. Like 344 Main St., the building will have retail stores on the ground floor. However, with eight apartments on three higher floors, it will be about half the size of 344 Main. Architecturally, it’s modeled after the Holland Hotel, which stood a century ago across the street, now the site of the county parking lot. The Beacon Theater at 445 Main St., built in 1934, is expected to reopen by the summer, with three screens showing classic and independent films as well as first-run movies. It will have theaters with 85 and 25 seats and a third room with 50 seats that will be the home of Story Screen, which has shown movies in restaurants and shops in Beacon since 2015. About a third of the 30 apartments above the theater have been leased, according to the developer. An online listing shows 13 units are available, ranging from $1,800 per month for a 700-square-foot studio to $2,700 for an 1,120-square-foot two-bedroom. No plans have been submitted to the city for the redevelopment of the 64-acre Tioronda estate, which includes the former Craig House psychiatric facility. The site was purchased in October for $5.5 million by Craig Realty Holding LLC, an investment group led by developer Bernard Kohn. 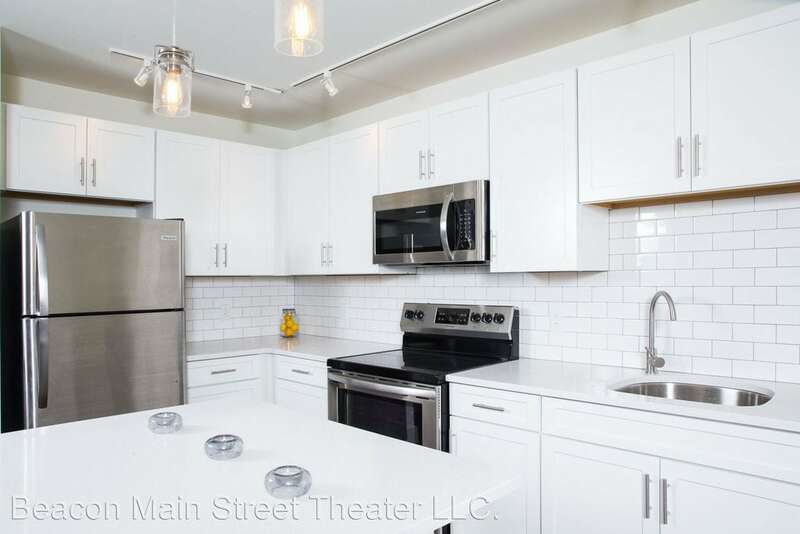 A listing photo for a Beacon Theater apartment at 445 Main St. The parcel, the largest in Beacon that could still be developed, is located within a primarily single-family residential zoning district that requires a little less than 2 acres for each dwelling unit. A religious institution, public school or municipal recreation area would be permitted there, and certain uses, such as a private school, club, museum, artist studio, nursing home or bed-and-breakfast, are allowable with a special permit. The property was not affected by the Beacon City Council’s recent rezoning of the Fishkill Creek Development District. The developers of the 307-unit Edgewater proposal near Beacon’s waterfront, after receiving environmental approval from the Planning Board and variances from the ZBA for the number of stories allowed per building, the number of units per building and the space between buildings, are pursuing site-plan approval and a special-use permit from the City Council. A public hearing on the site plan is scheduled for April 10. Beacon Hip Lofts LLC, the developer of The Lofts at Beacon on Front Street, has asked to remove the commercial space it had planned for the site and instead add 29 residential units, bringing the total live/work spaces to 172. About 80 units have been completed. The Planning Board will continue its review on March 13. 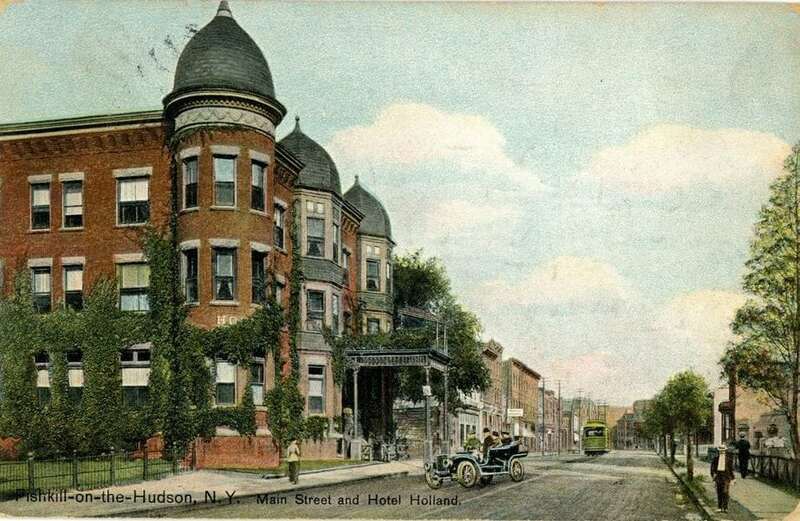 The project at 226 Main St. is modeled after the Holland Hotel, now the site of a parking lot. The Planning Board also will continue a public hearing that same day for the 18-townhouse River Ridge Views project located on the Parcel L property. River Ridge, along with Edgewater, could be significantly affected if the City Council moves forward with legislation that would modify how a parcel’s allowable density is calculated to “buildable,” rather than total, acreage — excluding environmentally sensitive land. On March 5, the City Council approved an agreement with the owners of West End Lofts to make voluntary payments beginning at $170,000 per year in lieu of property taxes. The project will include 72 middle-income and artists’ spaces and 26 market-rate units. It was granted tax exemptions on its affordable units last year as a requirement of the $4.5 million in funding it received from the state Homes and Community Renewal agency. The developers of the long-delayed 248 Tioronda project in January showed the Planning Board preliminary plans for its redesign. The project, which had received authorization for 100 units along Fishkill Creek, must now seek new approvals after the council rezoned the creekside district, cutting the project’s allowable density by about a third. 3 Responses to "Where Things Stand"
I am appalled by all this high-density building. Hence, why I left my hometown of 64 years. I gave up and threw in the towel. Can’t fight City Hall! Wish you all the best, Beacon, but I’m afraid our little city is being destroyed. So, so disappointed. Shame on you city officials for allowing this to happen. When all these people hit the streets, it’s going to be a nightmare traffic-wise. The whole reason people live in Beacon — small town, trails, the river, etc. — is all being destroyed. Beacon is a place rocked by demolition and rabid anti-density sentiment (displayed in comments above). Beacon will be resilient, alive and vibrant when its last surface parking lot or vacant lot is built upon. It is a model walking city. Those dedicated to automobile-dependent and low-density sprawl ought to consider moving to the South. There’s plenty of sprawl there to satisfy their needs. Beacon shouldn’t have to rely on visitors/tourists to survive. The city can build its own local economy by adding new residents, and specifically residents that aren’t enslaved by their automobile and are willing to walk for errands.